This trip up Mount Baldy is one we try to do just about every time we are here. It was a gorgeous day, sun and clear sky, cool to walk, and the flowers were in season! 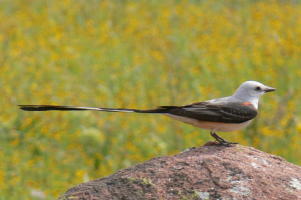 Even before we get there, we are treated to buffalo and a scissortail flycatcher. 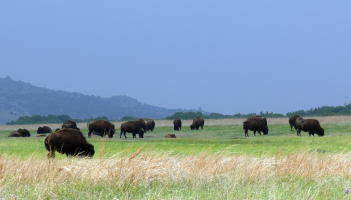 Isn't this picture of Quanah Parker Lake stunning? Below, indian paintbrush, cactus and original rock art! Now you know why we like this hike.